Dry to moderate moisture. Prairies. This is a 12″ to 40″ tall, though usually less than 24″ tall, erect, perennial forb that rises from a stout rhizome or branching caudex. 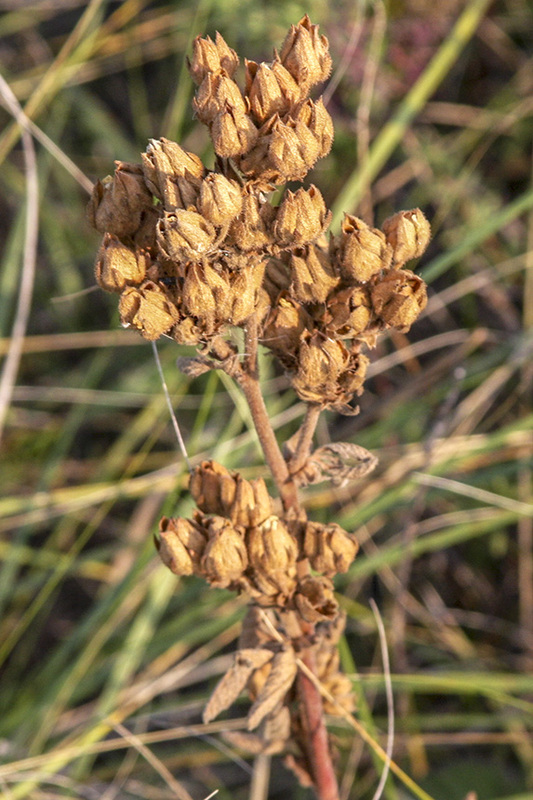 The stems are erect, stout, unbranched below the inflorescence, and covered with brownish, sticky, glandular hairs. Most of the leaves are basal. Basal leaves are on long, hairy stalks. The are pinnately divided into 7, 9, or 11 leaflets. 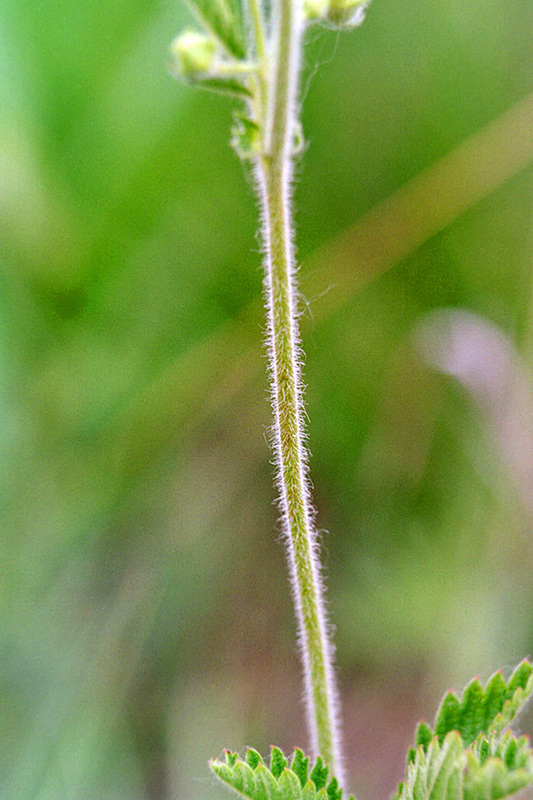 The leaflets are hairy, inversely egg-shaped with the attachment at the narrow end, and up to 2¾″ long. The margins are coarsely toothed around the entire margin, including near the base. The upper and lower surfaces are hairy. 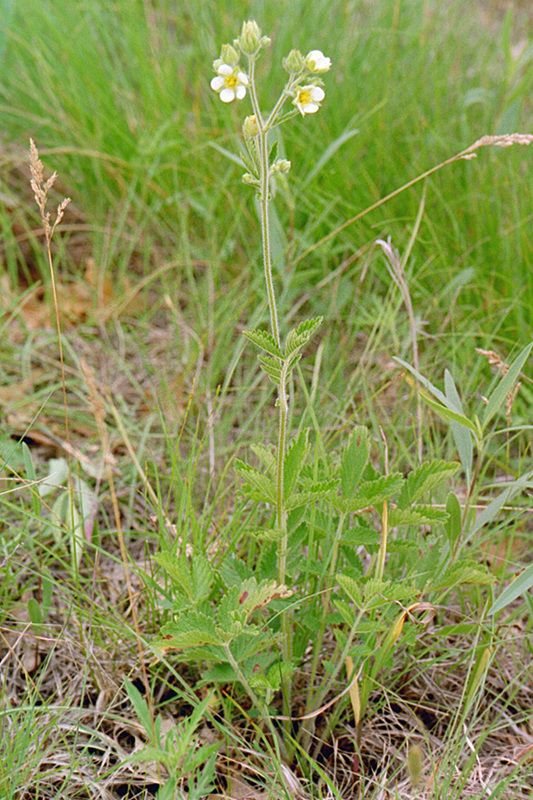 Stem leaves are few, often just 1 or 2 leaves on the stem. 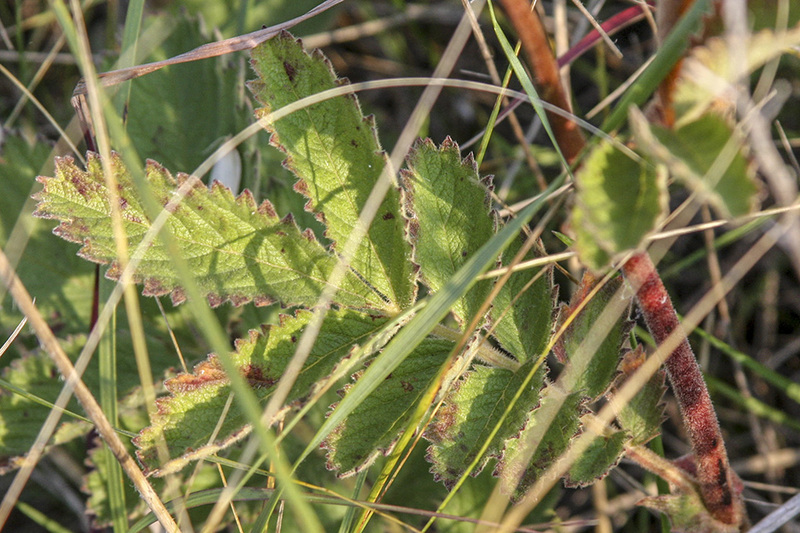 They are alternate and similar to the basal leaves but smaller and with only 3 or 5 leaflets. The flowers are ½″ to ¾″ wide. 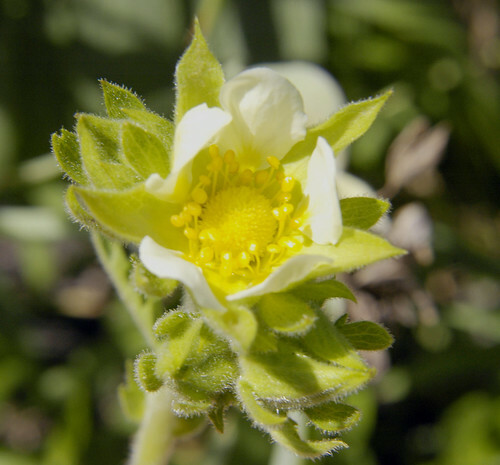 The 5 petals are yellowish-white, cream colored, or nearly white. The 5 green sepals are about equal to the petals in length and alternate with the petals. The 5 bractlets are dark green and about as long as the sepals when the flower is fully open. 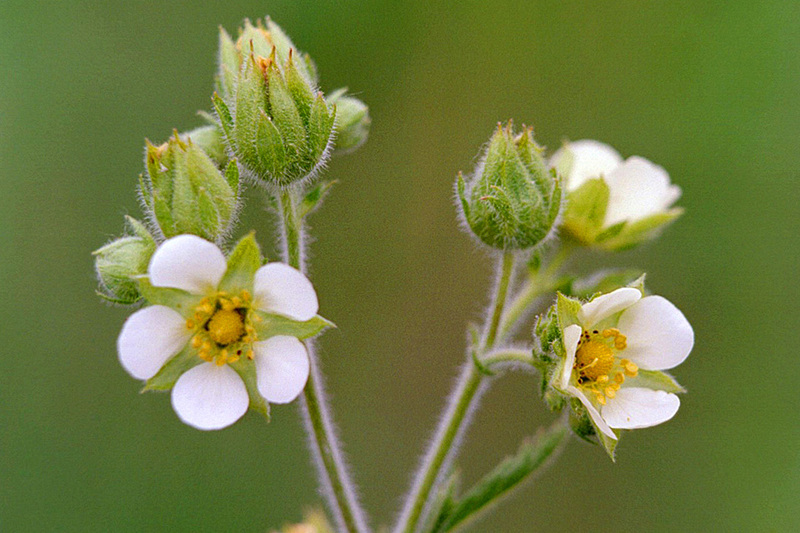 They alternate with the sepals and are hidden below the petals when the flower is viewed from above. There are 20 or more yellow stamens. There is no floral scent. This plant is one of only two cinquefoils in Minnesota that have white flowers. 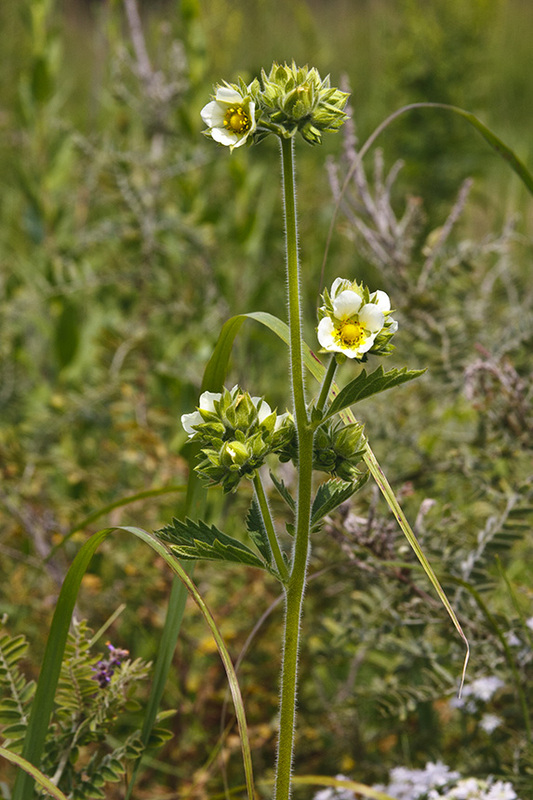 The other is Three-toothed Cinquefoil (Potentilla tridentata). 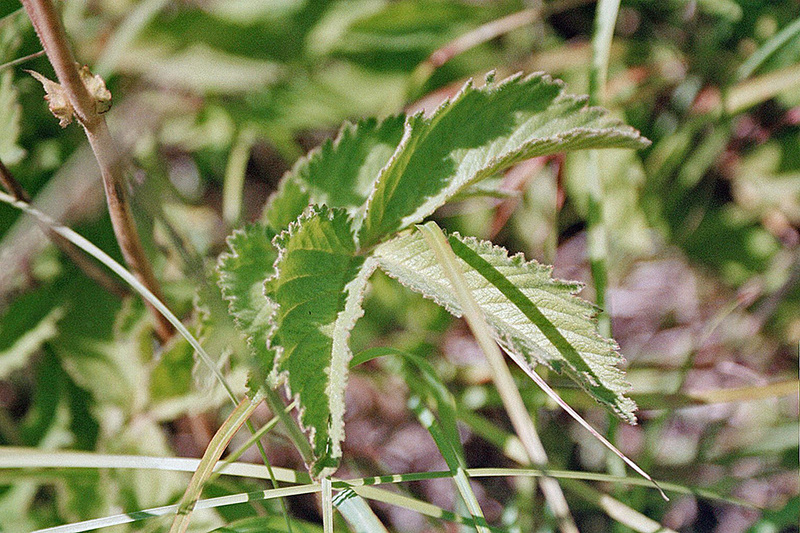 The latter plant has leaves divided into three leaflets. Each leaflet has only three teeth. 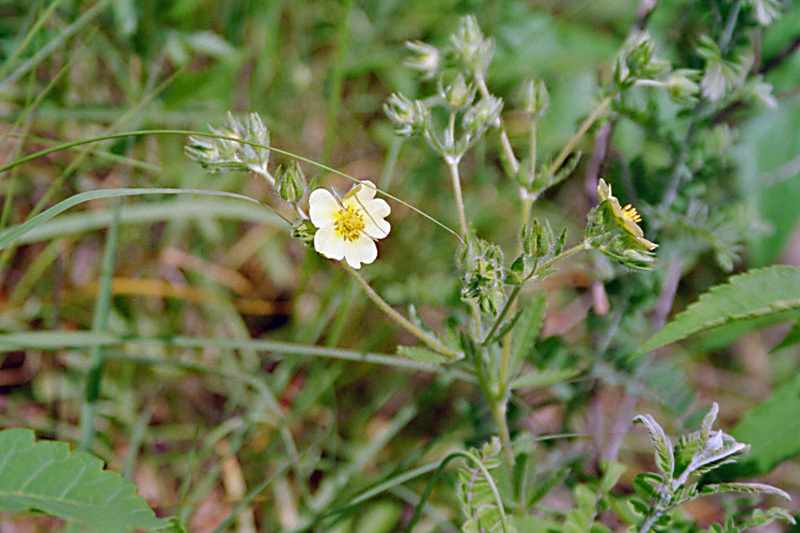 Rough-fruited cinquefoil (Potentilla recta) leaves are palmately divided into 5 or 7 leaflets. The flowers are always pale yellow, never white.